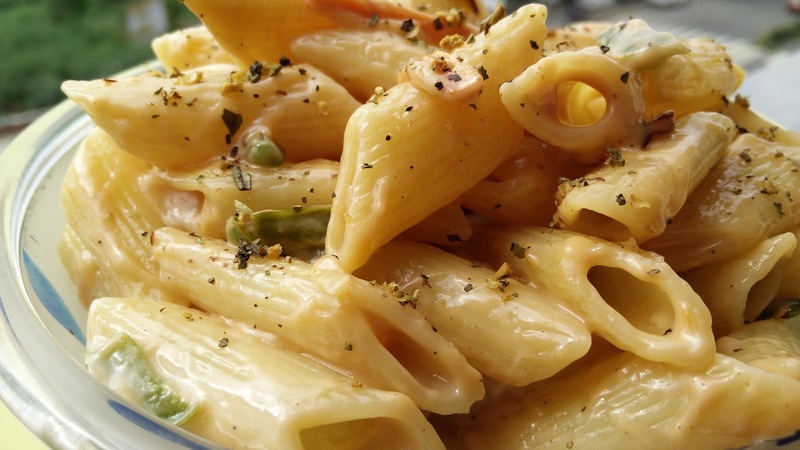 Mayo Pasta is the easiest pasta recipe which can be prepared instantaneously whenever kids are hungry. Boil pasta in ample water with ½ tsp salt and oil. Cook till it is half done. Drain the water and sieve the pasta in cold water. Keep it aside. Make a mixture of mayonnaise and tomato ketchup. In a nonstick pan or Kadai, heat little oil and sauté all vegetables. Add pasta, mayo mixture, salt, black pepper. Cook for 5-10 min. Garnish with oregano and serve hot.